Melbourne Cup Day contains “the race that stops the nation” – but why can’t it be “the race that bops a nation”? Sure, gambling and watching small men flagellating horses is a lot of fun – not to mention the excessive drinking – but your Melbourne Cup celebrations will have no flavour without the right tunes. Hopefully you warmed up your Derby Day on Saturday with a broad selection of Terence Trent D’Arby. Now it’s time to get the crop out and fly down the home stretch. 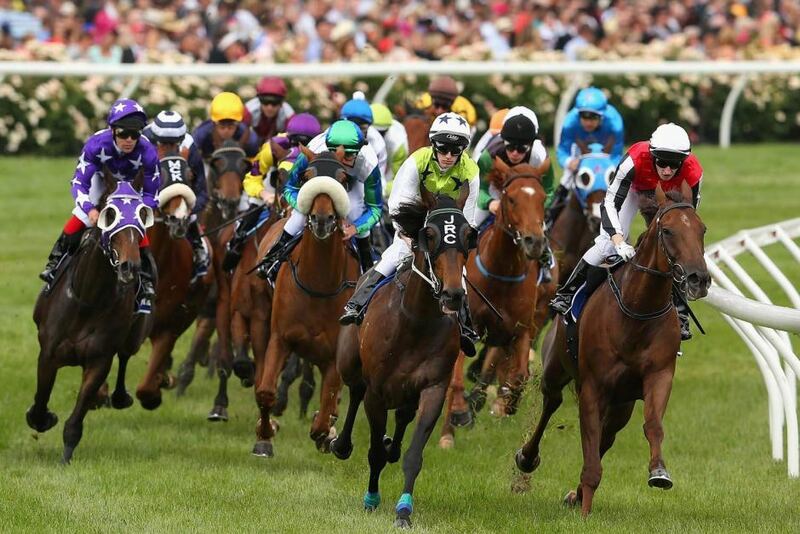 Here are the Top 20 essential Melbourne Cup Day songs of all time. ROCK OUT WITH YOUR CUP OUT: These songs will add another dimension to your Melbourne Cup party. NIGHT MARE: Alison Goldfrapp. of Goldfrapp, hugs a horse.